23 Amherst in Conroe, Texas is Chevaux Group's newest listing. Located in the lovely neighborhood of Panorama Village, this ranch-style home sits on two large lots and has an incredible view of the golf course! The home boasts three bedrooms with three full baths, wood floors, completely updated kitchen and baths, all looking over the incredible golf course. Even more appealing is the fact that there is a wonderful second guest home, workshop, workout room or whatever you might need. This cute little house is perfect for a home business or to even rent out for additional income. The additional space is always a nice thing to have. Enjoy the under-cover swimming pool so those nasty Texas bugs won't bother you. Read a book or enjoy your morning coffee on the cozy front porch! This house has so much to love about it but you really just need to see it for yourself. This 3208 square foot home is listed for $289,900! A great home, great location and a great price! What's not to love? 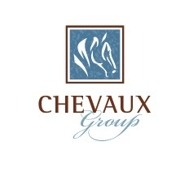 Chevaux Group is here to assist you with all of your real estate needs. Give us a call today! We are here to help! MORRIS EICKENHORST ~ A LOVING TRIBUTE TO A COMMUNITY LEADER!